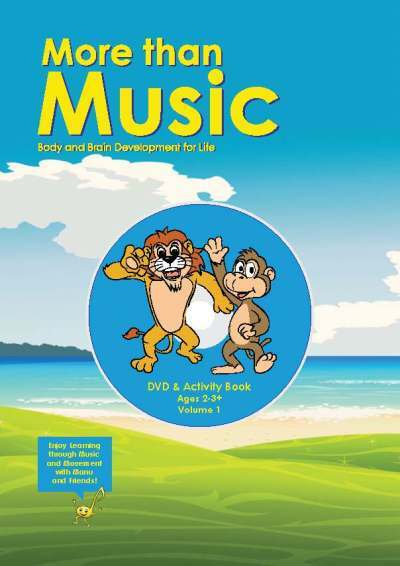 Have fun while learning through music and movement with our exciting animated DVD and Activity Book with stickers. Children meet Manu and his friends and join in the fun as they sing and dance to these exciting songs, which help develop coordination, language, and brain connections. Then enjoy completing the activities in the accompanying Activity Book, designed to support and reinforce the learning introduced in the animated DVD. DVD & Activity Book with stickers. Click on the video to see an excerpt of this DVD.